The below organizations and businesses so generously donated funds towards this walk! 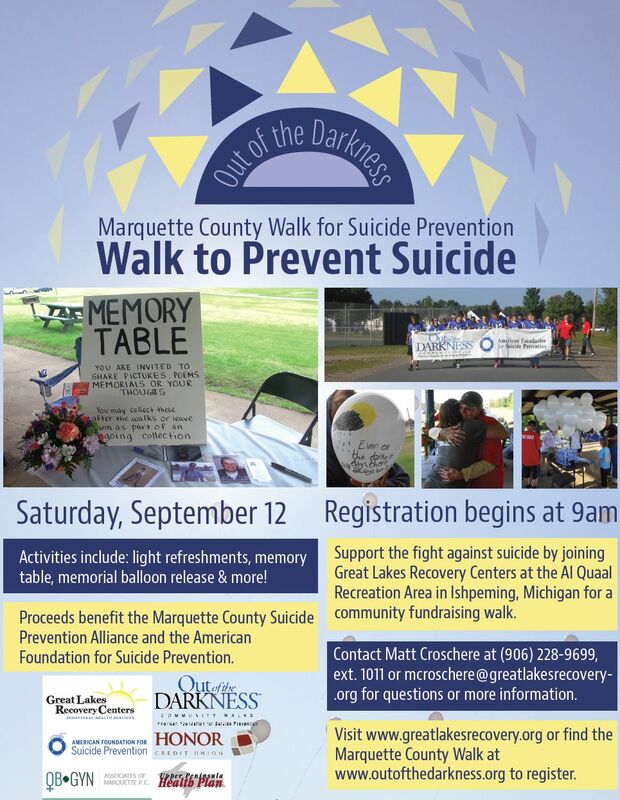 We are so very grateful to have businesses and organizations that support suicide prevention in Marquette County! 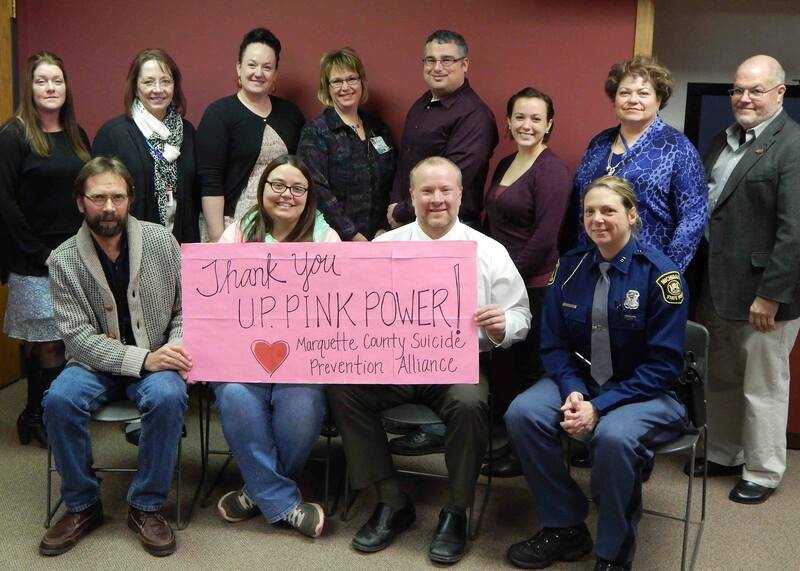 A heartfelt and sincere thank you from the Marquette County Suicide Prevention Alliance! Out of the Darkness Community Walk-Saturday September 12th! THANK YOU UP PINK POWER! 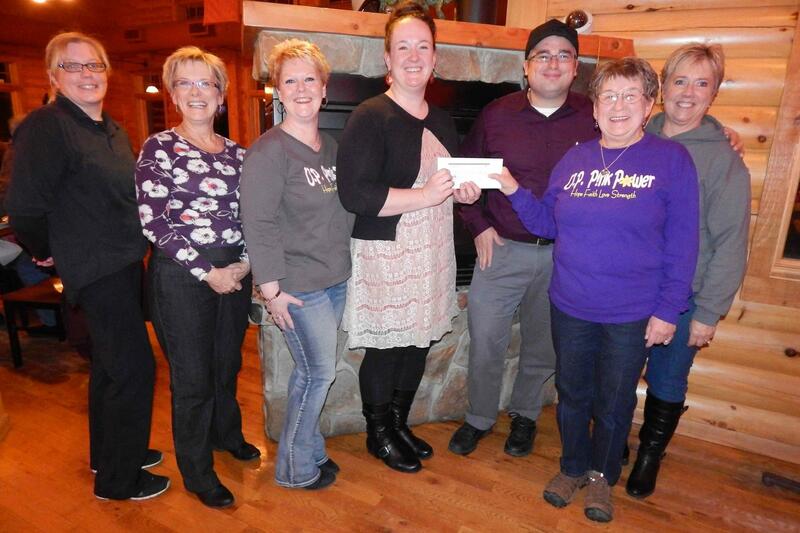 The ladies of UP PINK POWER presenting reps from the Suicide Prevention Alliance with a check for $5,600!! Paint the Throttle Pink Carnival! U.P. Pink Power will be hosting a special event at The Throttle Bar and Grill in Little Lake this Saturday, Novemeber 1st starting at 4:00 PM. This special fundraiser will include games, henna tattoos, raffles and 50/50 drawings. There will also be food and drink specials! 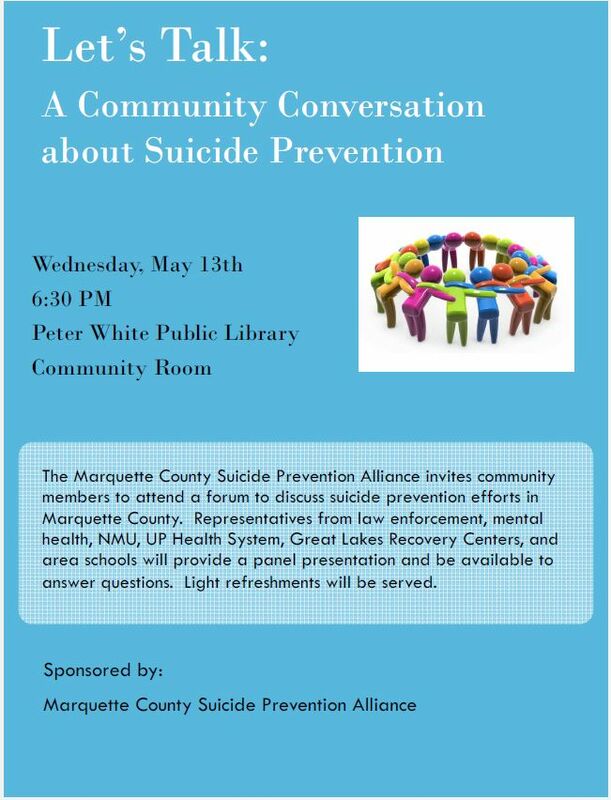 This special day will benefit the Marquette County Suicide Prevention Alliance, so please come out and show your support for a worthy cause. The Marquette County Suicide Prevention Alliance is pleased to offer a local website to share information about suicide prevention in Marquette County. On our site you will find information about our local Suicide Prevention Alliance, local, state and national resources on suicide and suicide prevention, information about suicide prevention gatekeeper trainings and information about the annual Out of the Darkness Walk. Please contact us if you need any additional information and thank you for visiting!